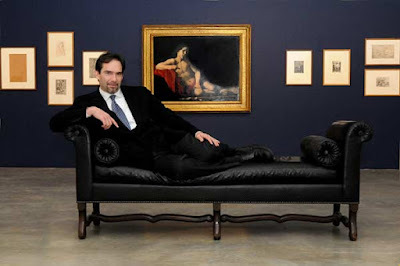 Lawrence ("Larry") Rinder became Director of the Berkeley Art Museum and Pacific Film Archive (BAMPFA) in 2008 after serving as the Dean of the College at the California College of the Arts in San Francisco. Rinder has also served as the Anne and Joel Ehrenkranz Curator of Contemporary Art at the Whitney Museum of American Art. Prior to the Whitney, Rinder was founding director of the CCA Wattis Institute for Contemporary Arts, in San Francisco. Michael Guillén: Can you speak a bit about the contradistinction between film programming and film curation? And what might PFA's curatorial signature be? Larry Rinder: It's so deeply a part of our culture that film and art are integrated. Until you brought this up, it hadn't occurred to me that there would be a separate mindset for film curating and art curating. At this institution, our film curators and our art curators approach the works in their respective media with similar dispositions of seeking out the best possible works and then presenting them in the best possible way. In the case of film, that means that the same people who are attending to content—what is in the film—are also alert to the quality of the print, the quality of the room that the works are experienced in, and that's something distinctive about our institution and something that should be essential to every curator's way of thinking; but, it isn't necessarily. That's one of PFA's signatures.